Thinking about your New York ancestors? Although Ancestry.com is only available in the library or by paid subscription, several New York State groups have formed a partnership with Ancestry to digitize records and make them available for free. There is a helpful tutorial on the NYS archives page. You will be asked to enter your zip code. Then you can start your search. Either type in a person’s name or scroll down to search a specific collection. Once you click on any document in your results, you will be prompted to create a free account by entering your name, email address and a password. Be sure to choose “edit search” instead of “new search” while doing your research so that you don’t move into the subscription-only material. Be careful and don’t click on any of the “suggested records” since that will take you to a page requiring you begin a paid subscription. This is a terrific resource offering census, naturalization, birth, marriage, death, and military records. There are fascinating photos of NY Civil War soldiers through the Carte-de-visite collection. You might even uncover some family skeletons in the records of inmates at Newgate State Prison! Our book displays keep up with the seasons. On the first floor we have “Best Books of 2015” which is an eclectic collection of the best sellers and includes romances, mysteries, and nonfiction titles on the subjects of civil rights, gay rights and education. “Around the World” is the next display and has books, audiobooks and movies set in various locations worldwide. A great way to enjoy the pleasures of travel without leaving the comforts of home. The paperback display “Warm Up With a Good Book” is a romance reader’s paradise, lots of choices. On the third floor you will find the health display “New Year, New You” which is full of books on self improvement. My favorites are The Small Change Diet and The Eat This, Not That! Not Diet! Diet. Of course there are also advice flyers- I’m going to try “Fab-Abs in January”. Let’s improve our minds for the New Year also and learn a new skill or hobby. Take a look at “Fight Cabin Fever, Learn Something New” display, it’s sure to have something for you. You’ll never be bored at SPL, we always have something of interest! Billion in goods and services on an annual basis. 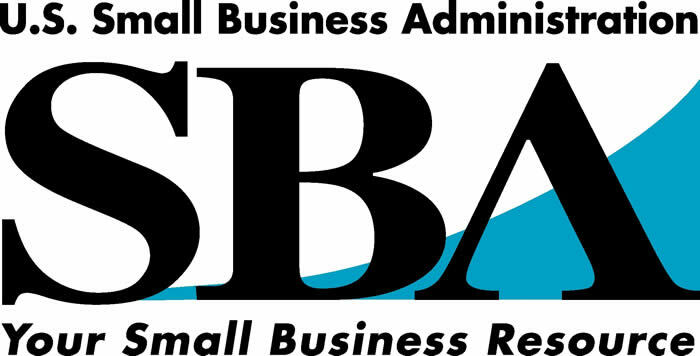 SBA Certification Programs are all geared toward assisting small businesses, veteran-owned businesses and women-owned businesses . Attend our FREE Certification Training Session to learn more.  Nearly 30 million children and adults in the United States have diabetes.  Another 86 million Americans have prediabetes and are at risk for developing type 2 diabetes.  Recent estimates project that as many as one in three American adults will have diabetes in 2050 unless we take steps to Stop Diabetes.  People with diabetes are nearly twice as likely to be hospitalized for a heart attack or stroke.  Diabetes causes nearly 50% of all cases of kidney failure.  More than half of all amputations in adults occur in people with diabetes.  More than half a million American adults have advanced diabetic retinopathy,greatly increasing their risk for severe vision loss. times higher than those without the disease. 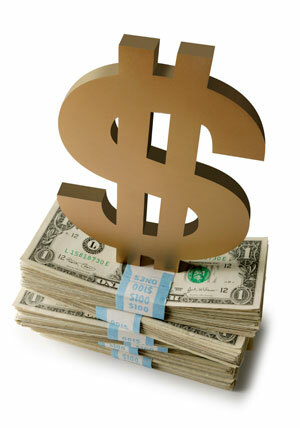 o Indirect costs amount to $69 billion (disability, work loss, premature mortality).  One in 10 health care dollars is spent treating diabetes and its complications.  One in five health care dollars is spent caring for people with diabetes. American Diabetes Month can make a difference by raising awareness about diabetes risk factors and encouraging people to make healthy changes. These changes include: eating healthy, increasing physical activity, and losing weight. If you would like to learn more about diabetes please visit our library either in person or online. Stop by the National Diabetes Month display on the third floor for materials on the subject. Our Health Reference librarian is also available to research any questions you may have about the disease. Online, we have many health related research tools you can use to investigate diabetes. These can be accessed on the Health Reference and/or the Articles & Databases pages of our website. In 1914 the world looked much different than it does today. Austria-Hungary covered most of central Europe. In fact, it covered land that now makes up 13 countries. But all was not peaceful. In fact, the Bosnian Serbs in particular were restive under the rule of the Hapsbugs, rulers of Austria-Hungary. Many of them wanted to form a greater Serbia by uniting with their brothers across the Drina River in Serbia proper. On June 28 the Archduke Franz Ferdinand and his wife were visiting Sarajevo. A group called the Black Hand had determined to kill them. Several attempts failed but a young man named Gavrilo Princep rushed the car they were riding in and shot them both at close range. This event provided the spark that started the war but there were many factors at play: the desire for empire and wealth, a series of treaties and alliances that assured that when one power went to war its allies would follow, miscalculations by rulers and generals. On July 28 Austria Hungary declared war on Serbia. Russia responded by mobilizing the following day. Germany declared war on Russia on August 3. When Germany marched through Belgium on its way to France, Great Britain declared war on Germany. World War I consumed all the great powers of Europe and extended into Asia and Africa. The warring nations Austria and Germany (known as the Central Powers) were aligned against the Allies made up of Serbia, Russia, France, Belgium and Great Britain. Eventually, the Ottoman Empire and Bulgaria joined the Central Powers and Italy, Romania, Greece and the United States (the U.S. declared war on Germany on April 6, 1917) joined the Allies. More than 65 million men were mobilized. The war saw the use of new technology such as airplanes, tanks, fast firing artillery and submarines. But perhaps the lasting image is of trench warfare and the feared chlorine gas (first used by the Germans at the battle of Ypres on April 22, 1915). It is estimated that up to 10 million men lost their lives on the battlefield and another 20 million were wounded. It also was the death of the Hapsburg and Ottoman empires. The war was the catalyst for the Russian Revolution. There are many interesting books about the war and the peace that followed. Many of these can be found at the “World War I” display table on the first floor of the library during the month of July. Online there are informative sources of information. Try the PBS site featuring maps, commentary by historians and audio recordings by combatants and noncombatants. A companion book to this PBS special is available in our oversize collection, The Great War and the Shaping of the 20th Century, written by Jay Winter and Blaine Baggett. And the BBC does a fine job of covering the background, history and results of the war. Their interactive map of the Western Front is especially interesting. For a study of the American involvement see the Doughboy Center which is part of the Internet History of the Great War: Trenches on the Web. Please join Syosset librarians on July 8 for a discussion of the classic novel about the war, All Quiet on the Western Front by Erich Maria Remarque. New York certainly has had a few difficult weeks with Super Storm Sandy and her aftermath. Things in many areas still are not back to normal. But we know New York will come back! The third floor reference area has a book display celebrating New York and its resilience. The city has a lot to offer. There is so much to see and do from the amusements of Coney Island as discussed in John Kasson’s Amusing the Million : Coney Island at the Turn of the Century to Calvin Tomkins’ Merchants and Masterpieces: The Story of the Metropolitan Museum of Art. There are gardens for strolling, maybe walk the relatively new High Line (Annik Farge’s On the High Line) or the magnificent Central Park ( Sara Cedar Miller’s Central Park, an American Masterpiece ). Consider the city’s engineering wonders as described in Robert Jackson’s Highway Under the Hudson: A History of the Holland Tunnel and Judith St. George’s The Brooklyn Bridge : They Said It Couldn’t Be Built. Ken Bloom’s Broadway: An Encyclopedic Guide to the History, People and Places of Times Square pays tribute to the glittering lights and talent of the area. If shopping and dining appeal to you, New York is the place to be! From the h igh style along Fifth Avenue by Theodore James to Sharyne Wolfe’s contemporary guide, The Fashionista’s Shopping Guide to the Galaxy of Discount New York Fashion, there are fashion finds for everyone. With so many restaurants you really need a guide such as Mike Colameco’s Food Lover’s Guide to NYC : An Insider’s Guide to New York City’s Gastronomic Delights. Ellis Island : a Pictorial History and Sabina Khan Yasmin’s Enlightening the World : The Creation of the Statue of Liberty. But we all know it is the people who really make New York what it is. Diaries of Old Manhattan edited by Louis Auchincloss and You Must Remember This by Jeff Kisseloff for a fond, nostalgic appreciation of The City.